Celebrate the festive season with the fishes this year and 'splash out' on a family trip to Bristol Aquarium! Adventure through the world's oceans and see marine animals from tropical sharks to rays, seahorses, octopus and pufferfish. Watch them swim over your head and immerse yourself in an underwater safari - right in the city centre of Bristol! With extra festive-themed talks and Christmassy hands-on activities throughout the school holidays, all included with usual admission, Christmas is the perfect time of year to visit Bristol Aquarium! Your tickets are valid all day and we are all indoor - so make the most of your day and spend it with the our Christmas fishes! 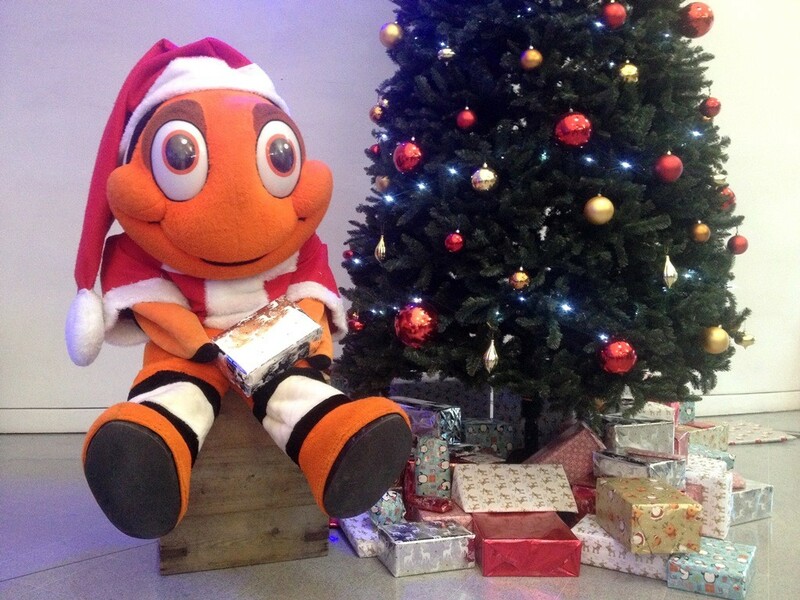 Charlie the Clownfish - Bristol Aquarium Mascot enjoying a very Merry Fishmas! Give the gift that keeps on giving with our Gift Memberships! Perfect for young parents with Under 3s who can come along free of charge for an indoors, safe, sensory experience, and memorable family trips out! To purchase a gift membership please give our friendly office team a call on 0117 929 8929 so that we can arrange processing and postage to the preferred address.